When we were kids, all we could do for fun was go out and ride a bike or play with the ball. But, nowadays kids are lucky as they have the opportunity to play with a bunch of cool gadgets that are both fun and useful and can teach them valuable things. If you are looking for ideas what to get for your kids, you are in luck as we are about to suggest some of the coolest gadgets that are bound to be loved by your kids, but you will love them and have fun as well! If you are a Star Wars fan, getting your kids to love this iconic story is something that you plan on doing, right? So, is there a better way than getting them the legendary R2-D2? As we all know (at least those of us that love Star Wars) a year ago, one of the hottest and most wanted toys for the parents… sorry, I meant to say kids, was the Sphero BB-8. However, as the storyline of the saga continues, we are again going back to the old characters and that includes the famous, grumpy little white/blue droid knows as R2-D2. This insanely cool gadget can be paired and controlled by a smartphone (Android or iOS), and through the app, your kids (or you when they are asleep) can control the droid around the house. Don’t worry, driving it around is not the only thing it offers, as a matter of fact, R2-D2 became famous for his bleeps and bloops, especially when he was angry, and that is what you can expect from this gadget. Also, you can even set it in the guard mode, where it uses its sensors to detect movement and react just like in the movies, and, it can be educational as if offers a bunch of Minigame missions that include programming routes for the droid to follow. All in all, this gadget is quite affordable and can make a great Christmas present for a Star Wars fan family. For the outdoor loving parents, getting outside and taking their kids to bond with the nature is the most rewarding parenting experience. But, you want your kids to be safe and to know how to get out of tough situations, right? Therefore, getting them a cool survival watch will definitely ease your worrying as they will be able to know their exact location at any time, no matter where they are. Furthermore, you can also teach your kids to navigate by using a map and a compass, as these types of watches usually come with a digital compass. Another cool and above all useful feature of survival watches, is a built in barometer, altimeter, tide charts and tide data display, which all come in very handy when your kids are in the great outdoors. For example, sudden changes of atmospheric pressure, means that the weather is about to change and that can give them an advantage and enough time to find a shelter or head back to safety. In general, getting your kids a survival watch is never a bad idea and they can use it to get much more familiar with outdoor survival skills. There isn’t a kid that wouldn’t like getting a drone for birthday or Christmas! Luckily, nowadays, drones are widely available and really easy to use. In fact, they are so easy to use that even kids can fly them safely. The one we are suggesting is the Walkera QR X350 quadcopter. This model is an affordable aerial filming platform that will definitely be fun for the entire family. Thanks to its advanced systems like GPS position and altitude hold, 6-axis gyroscope, and various mission planning program compatibility, the drone is unbelievably stable in the air, has precise hovering, and simply “stands” in the air if you don’t touch the controls. 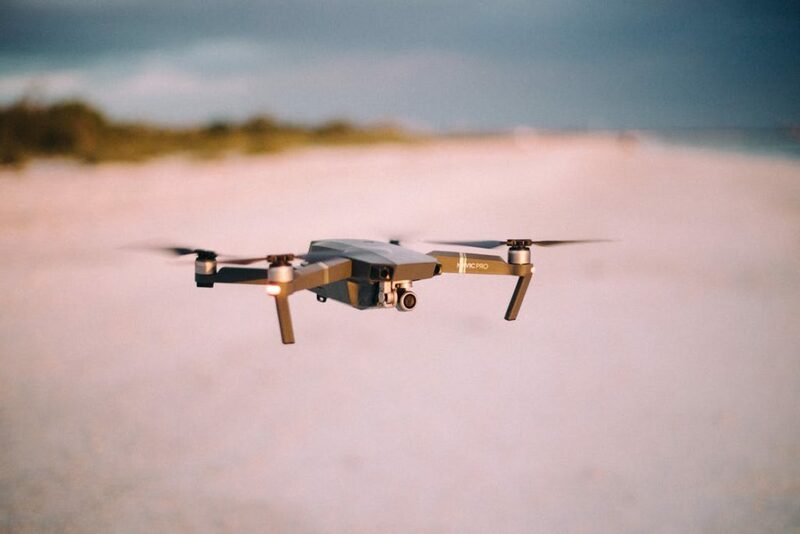 This makes it ideal for the young ones, as they can simply let go of the controls in case they lose orientation and the drone will hover in place waiting for the next command. Furthermore, the QR X350 can be bought with a camera stabilization gimbal, which is compatible with most action cams. And, with a range of 2 kilometers and 20 minutes of flight time, your kids will definitely have fun making aerial videos and taking selfies from a totally new perspective. If you want, you can even get your kids into programming as this drone is an open source model and allows mission planning. This means that your kids will learn coding, and enjoy autonomous flight missions! Cool, isn’t it? If you already decided to buy a drone for your kids, then getting them an action cam is the next step. Don’t worry, even though it is the most talked about brand, the pricey GoPro Hero is not the only high-quality action cam choice out there. In the last couple of years, many new action cam brands surfaced and now, you can spend hours on finding the one you like the most. Our recommendations are brands such as Xiaomi, SJ, and Eken. Most of them now come with the ability to shoot in 4K and deliver crystal clear photos with vivid colors. Also, if you combine an action camera with a waterproof case, your kids will also be able to make underwater videos and keep their camera safe from unexpected drops. All in all, having an action cam will spark up your child’s imagination and creativity. Whether we want to admit or not, today’s kids are addicted to smart devices such as smartphones, tablets, laptops and so on, and they think that when they are off line, it’s the end of the world! But, none of the mentioned devices can’t work forever as the batteries need to be recharged every few days, or in case of extensive use, even every few hours. As long as they are home, there’s no problem as they can simply plug it into the wall in their room and browse the web or chat with friends from their room. But, what about when they are outside? This means that, if they are on a camping trip, or on an excursion for a few days, they will not be able to recharge their phones every time the battery goes empty. As much as this sounds like a tragedy for them, it actually means that you won’t be able to call them and check if everything is okay, any time you want. Therefore, we recommend getting them a power bank. This is a gadget that is basically an external battery pack, which can be charged and used as an electrical power “bank”, to top off any device when needed. Depending on the battery capacity, some power banks are capable of charging a few devices at once, or even high-demand devices like laptops or DSLR cameras. They can also be solar, or solar/electric combined. All in all, your kids will love the opportunity to top off their smart phones or tablets, and not worry about being off line when they are on a camping or backpacking trip.